This Broadway Limited EMD SW1500 is an ideal addition to your fleet of 1960s and later switcher fleet. 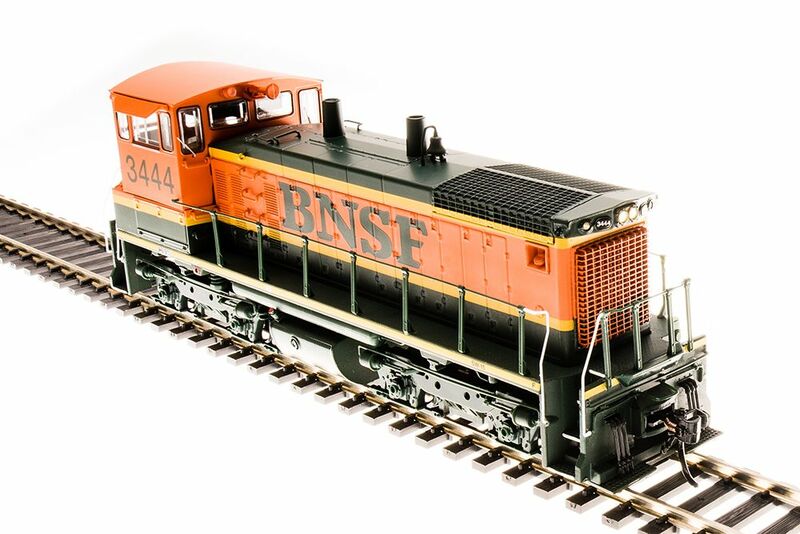 Perfect for yard and industrial switching on your layout this burly diesel features full Paragon3 sound and DCC for realistic sound and motor control. The Paragon3 sound system works with all Broadway Limited Rolling Thunder(TM) advanced sound systems. Other features of this diesel locomotive include a heavy die cast chassis, smooth-running flywheel-equipped drive, directional headlights and magnetic knuckle couplers. This HO Scale EMD SW1500 can be operated on all DCC systems as well as on standard DC railroads (with limited sound functionality). This model has wheels profiled to operate on Code 70 and larger rail.